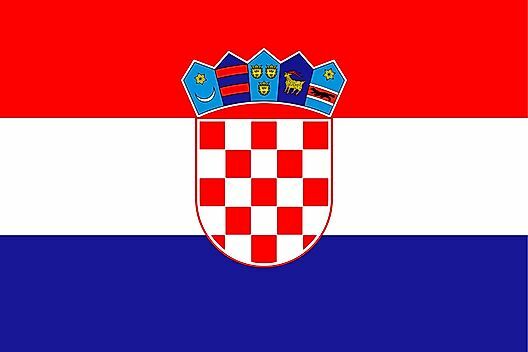 The flag of Croatia was officially adopted on December 22, 1991. Croatia's coat of arms is a checkerboard shield, containing exactly 13 red and 12 silver squares. 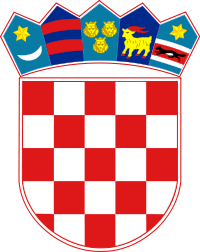 Above the shield rests five smaller shields symbolizing historical regions within Croatia.